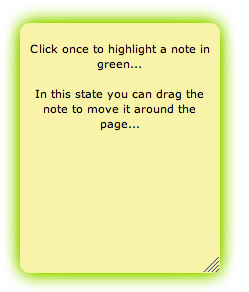 You can change the appearance of a note by simply clicking once on the note to highlight it in green. When a note is highlighted in purple or green the menu bar at the top of the app will appear, allowing you to edit the look and feel of your note. 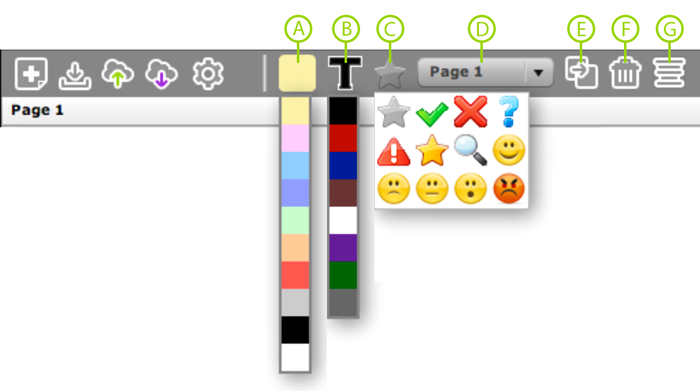 You can change the note colour, text colour, icon, the page on which the note appears and the justification of the text (left, centre or right). When finished, simply click outside of the note and your changes will be visible to everyone.